Location between North Adams and Adams in Berkshire County, Massachusetts. 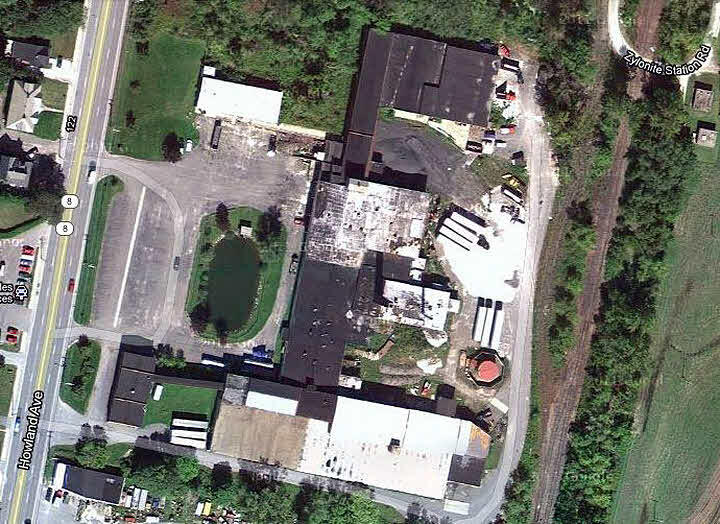 Satellite view, of site as it is now, from directly above. Satellite view, of site as it is now, perspective view from the East.. The site as it recently appeared in a Land Agents advertisement. These buildings date from 1900 with later additions. View from contemporary box showing same view as above between 1885 and 1890. 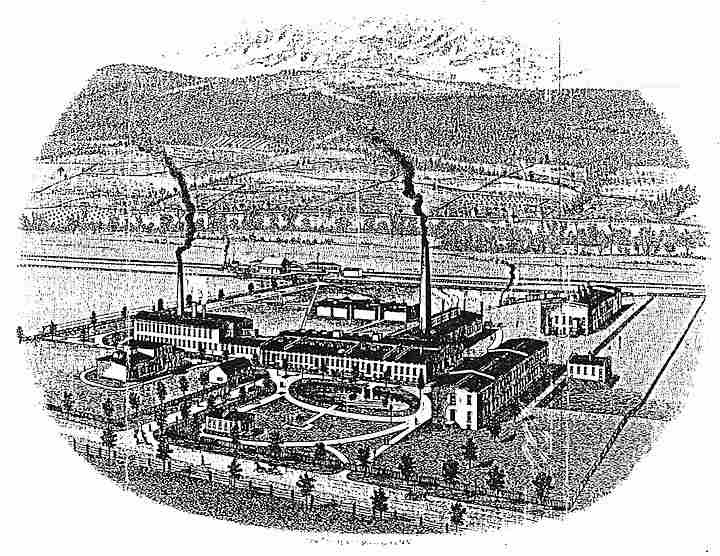 Illustration from Beer's "Gazette of Berkshire County" published in 1885. 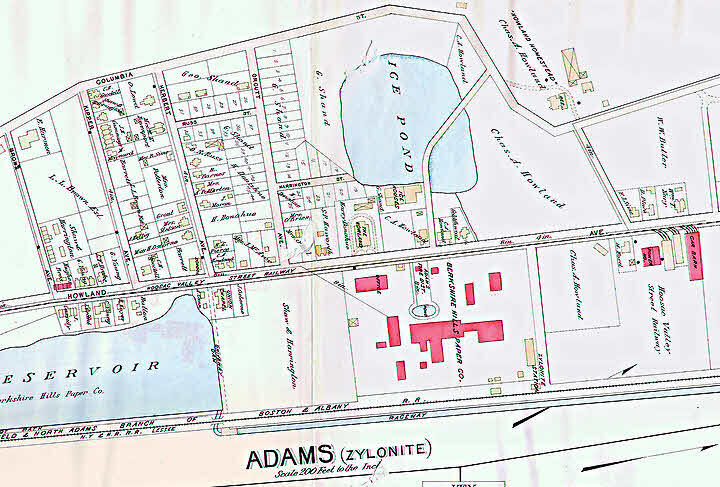 The 'Zylonite' Railroad Station (detail from box). Another current map. This shows a remarkable correlation to the image from the 1880s. 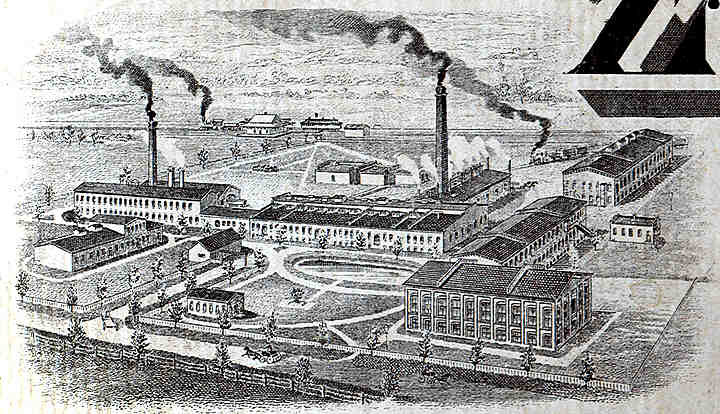 Even the station and the two branch lines serving the factory are still marked. 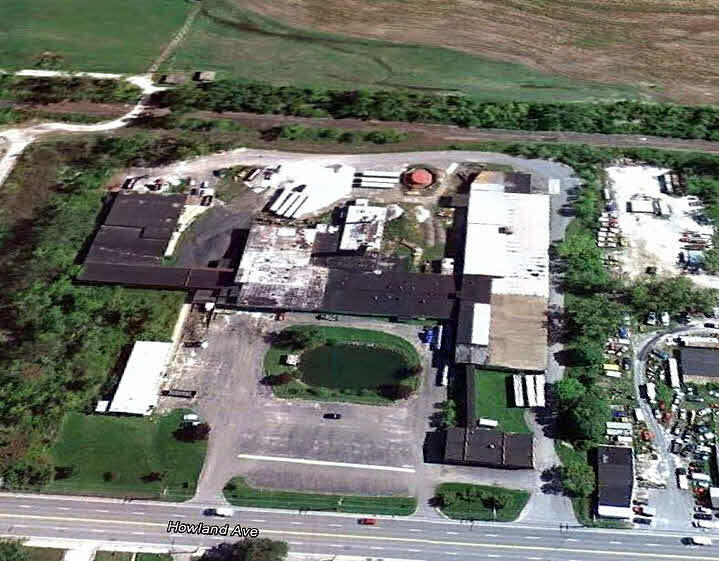 The last know image of the site. This one is used in the land agents advertisement for the sale of the property. The three small fenced trees can be seen in the satellite view, as part of a row of five, in the car park.